Front of Tuesday luncheon menu for the "South American" for season. 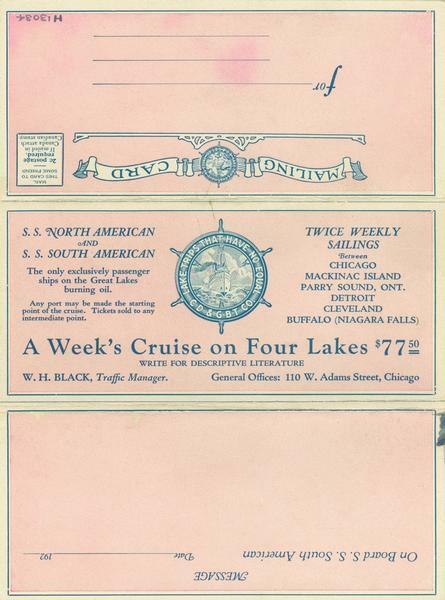 Gives rates for cruises on the "North American" or "South American" between Chicago, Illinois, Mackinac Island, Michigan, Parry Sound, Ontario, Detroit, Michigan, Cleveland, Ohio. and Buffalo, New York. Menu is designed to be folded and addressed and mailed to a friend.